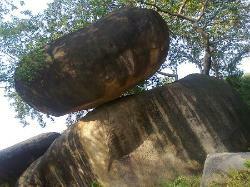 In Jabalpur this is a natural wonder. A good photo stop. Quite interesting. Worth a visit. Allow 30-45 mins. 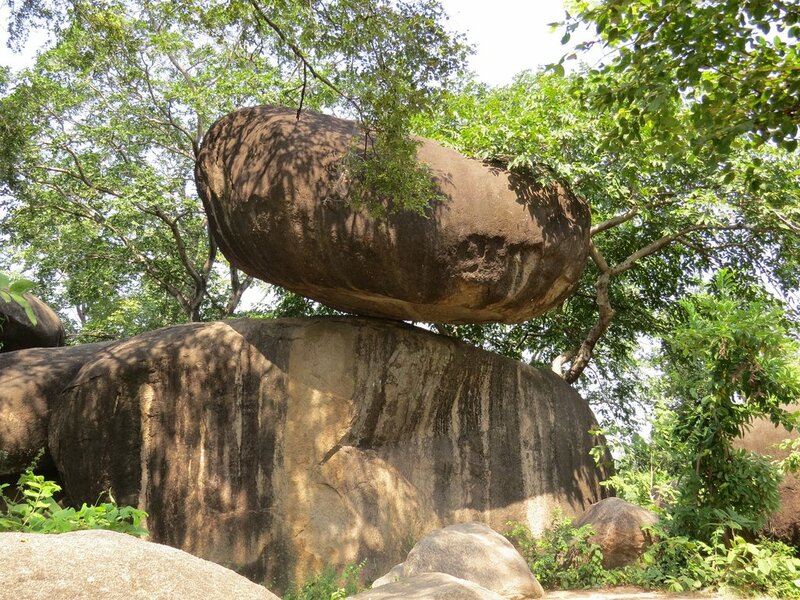 You can’t believe your eyes when you see this Balancing Rock for the first time , what a Balance , and huge one . 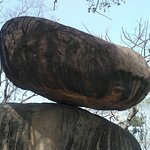 One large rock hanging over a bunch of more rocks. Needless to say that this is quite a marvel of physics but I didn’t find it much interesting. 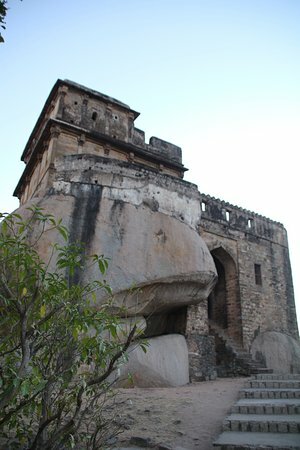 Located opposite to the madan mahal fort so no need to go separately to this place. 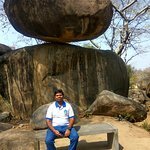 This place is near Madan Mahal Fort. 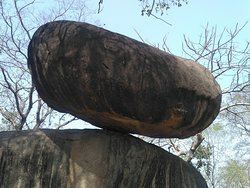 One large rock is balancing on other rock on a small point thats it. This is just a passby visit place. One should hardly spend 5-10 mins time here for photography. 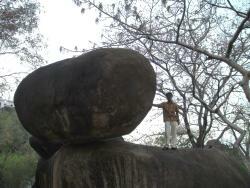 Balancing Rocks near Madan Mahal in Jabalpur is a very less known and frequented attraction. 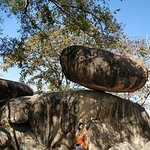 The sight of the rock balancing precariously on the bigger rock is quiet unique. 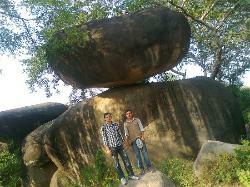 When we visited here, we were the only people at this location. 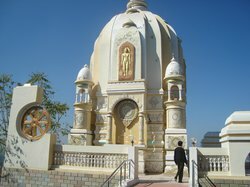 Small tourist attraction near Madan Mahal. Worth a small visit if passing by. 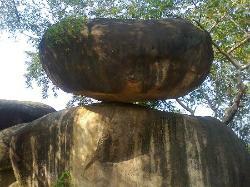 The large rock seems to be balancing on a small point. 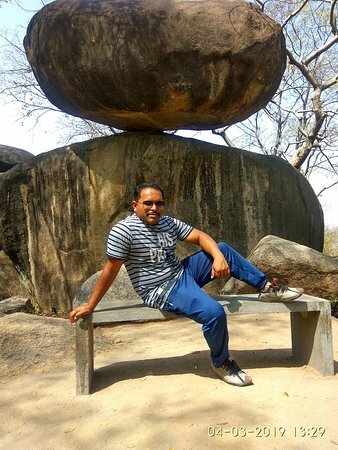 Kind of a smaller version of what you may encounter at Mahabalipuram - Krishna's Butter Ball. It’s just a pile of rocks beside a less crowded lane. 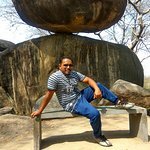 The geography is very interesting and very useful for project work . This place needs more publicity and supervision. This is quite of the way. Local people know about it. One can just admire and marvel at natures gift to us. 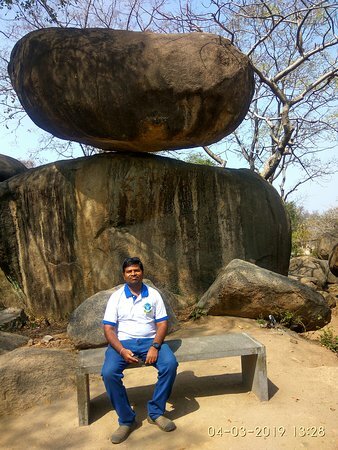 The balancing rocks are in this position for decades and continues to surprise us with the balance it possesses.A must to see when you visit Jabalpur. 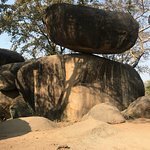 It is a wonder as to how the rocks are balancing. 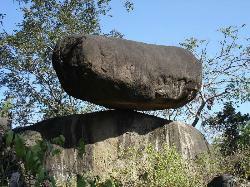 Get quick answers from Balancing Rocks staff and past visitors. 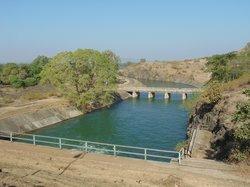 Is it ok to visit Bhedaghat between 20th May to 27th May? 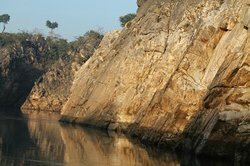 The Narmada is a perennial river and the water at Bhedaghat is hundreds of feet deep so you can still have the boat ride and admire the marble cliffs. Summer is not my favourite season to travel and day temperature in those parts will be in mid 40's. 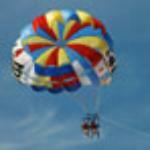 But if it cannot be avoided, go for it! 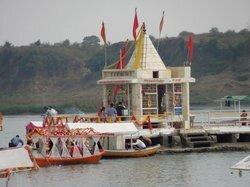 Try going to the ghat early in the morning and see if you can find a boat man or late in the afternoon.